"I remembered David Leavitt’s introduction to his Collected Stories in which he quoted Gordon Lish’s advice: '…start with a pisser and end with a pisser.'" "Many characters in the book deal with unexpected changes in their lives and would welcome facts to guide them. The title seemed to reflect the emotional struggles of the characters and almost implies that it’s simple to change a life. But my characters find that life is complex; what works for one person will not work for another." 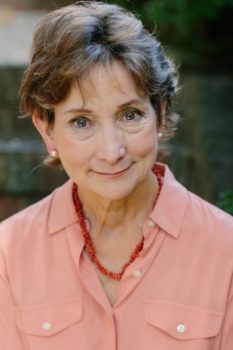 Wineberg is the recipient of a fellowship in fiction from the New York Foundation for the Arts, the John Atherton scholarship in fiction from the Bread Loaf Writers’ Conference, and residencies to the Ragdale Foundation and Virginia Center for the Creative Arts. She is the founding fiction editor of the Bellevue Literary Review. Her essays have appeared in Ethics in Criminal Justice, River Oak Review, Steam Ticket, The Tennessean, and Writers on the Job. Donna Baier Stein: You have been the Fiction Editor of the Bellevue Literary Review since its founding in 2000. Can you tell me how you approach submissions and how you make your final selections? Ronna Wineberg: I approach submissions in the same way I approach any type of reading: I hope to be engaged, surprised, and moved, pulled into a fictional dream. I look for writing that has authority, a sensitive use of language, and is a pleasure to read. I look for a distinctive voice, well-developed characters, and an original approach, stories that stay with me. We have a review system at the BLR. A submission is usually read first by one or two reviewers. If the readers feel the story is strong, the piece goes to an editor. Danielle Ofri, Suzanne McConnell, and I make the decision about what fiction to publish; we each champion stories that we’re passionate about. We have to consider the individual stories and also the composition of the issue as a whole. We edit the stories we publish and work with writers on revision. I often reject excellent stories because we have others on the same theme or from the same point of view or because we’ve recently published a similar story. If a story was seriously considered but wasn’t published, I write a note to the author. How many submissions do you receive a month? And do you have any advice for writers who’d like to submit to the Bellevue Literary Review–the importance of cover letters or other tips? I haven’t kept track of the number of submissions I read a month. We receive about 1400 to 1600 fiction submissions each year. Some are rejected before they reach an editor. We publish about twenty to twenty-five stories a year. Cover letters are helpful, but what’s most important is the work. Some suggestions: cover letters should include the author’s publishing credits and writing experience. If the writer hasn’t published before, he or she can mention that. It’s not necessary to give a long description of a story’s plot in the letter. Follow BLR submission guidelines. I hope writers eager to submit to the BLR will do so. In addition to being an editor, you are also a well-published author; your third book, Nine Facts That Can Change a Life, came out this spring from Serving House Books. I’m curious how you select which stories to be included in a collection. When I was working on Nine Facts That Can Change Your Life, I experimented with different selections of stories. Each time I wrote a story I considered strong, I removed a weaker one from the manuscript. I experimented with the order of stories, too. I used the same process for my first collection, Second Language. After Serving House Books accepted the manuscript, I took out a few stories and inserted two that hadn’t been part of the collection before. Walter Cummins, the publisher, was terrific to work with. He read additional stories and gave me his thoughts about them. I finally chose stories for the book that seemed to fit well together and build on each other. After I decided on the final selection, I worked on the order again. I knew I wanted to end the collection with “A Celebration of the Life of the Reverend Edward Henry Jamison” because of what the story says about relationships, intimacy, and the passage of time. The story spans thirty-five years and looks at intermarriage, secrets, and how the years affect emotions and a family’s view of love. I wanted to begin with “Legacy”; the two stories felt like bookends. “Legacy” also explores intermarriage and secrets. The story takes place during the course of an evening but dips into the past. Morris, the main character, opposes his son’s marriage, visits the couple and his young grandchild, and tells them a hidden piece of his history, a family secret. I decided to put stories about the earlier stages of relationships toward the beginning of the book. The editor suggested dividing the book into three sections. That worked and helped create the final order. I remembered David Leavitt’s introduction to his Collected Stories in which he quoted Gordon Lish’s advice: “…start with a pisser and end with a pisser.” Leavitt wrote that record albums had helped him decide on the order of his story collections: “…particularly Joni Mitchell’s—that I turned to find a model for how to arrange nine or ten seemingly unrelated pieces of prose into a coherent and meaningful whole.” In my own ordering of my stories, I realized that music created an arc, the building of something, a momentum, and so I turned to listening to albums and CDs as a guide. Theme also seems to be an organizing factor in this book. I’m wondering at what stage of the writing process you began thinking about theme in your stories, and how it affected the way you put together this collection. As I read the stories, I realized many of them were about relationships—bonds between partners, parents and children, friends, and family members. I was interested to see that I had returned to this theme again and again, with varied characters, as if I were trying to solve a puzzle, to understand something. When I write, I don’t focus on a particular theme. I concentrate on the characters, images, dialogue, the situations. I often don’t have a sense of where a story will go until I’ve finished a draft. The themes really emerge as I write, and I surprise myself. Once I finish a draft and read it, I begin to understand what I’m trying to say. The revision process helps clarify the themes. One of my favorite stories in the collection is the last one you mentioned earlier, “A Celebration of the Life of the Reverend Edward Henry Jamison.” Can you tell me what you hoped that story would reveal to its readers about family relationships and the passage of time? That story is one of my favorites also. I hoped the story would reveal the complexity and mystery of family relationships— the jumble of love, judgment, and obligation that exists among family members, and the emotional power parents have over a child, even when a child becomes an adult. Pam, the narrator, is Jewish. Her cousin Eva is, too. Eva marries Edward, an Episcopalian minister. I wanted to capture the family’s initial reactions to Edward and how those emotions evolve. The characters have secrets; their feelings are porous, mutable, changeable. The passage of time clarifies what’s important to Pam, Eva, Edward, and the family. I wanted to demonstrate how time alters feelings, and also how people in a family may feel an intimacy of presence with each other but often don’t know one another on a deep level or understand what goes on inside of each other. A final question on this new collection: How did you decide on the title for this book? I experimented with different titles and had another in mind but decided not to include the original title story in the book. I kept returning to Nine Facts That Can Change Your Life. That’s the title of a story in the collection. Many characters in the book deal with unexpected changes in their lives and would welcome facts to guide them. The title seemed to reflect the emotional struggles of the characters and almost implies that it’s simple to change a life. But my characters find that life is complex; what works for one person will not work for another. Let’s talk about some of your other work. Your debut story collection, Second Language, won the New Rivers Press Many Voices Project Literary Competition. It was also runner-up for the Reform Judaism Prize for Jewish Fiction. What was your experience publishing that first book? The first book was a wonderful experience. I was thrilled to have a book published; it was a little like falling in love for the first time. I’d submitted the Second Language manuscript to contests and publishers before, and it had been rejected. However, the manuscript had once been a finalist for the Willa Cather Prize in Fiction; this gave me hope that one day it would be published. It was a special pleasure to win the New Rivers competition with a version of a rejected manuscript. The editor at New Rivers Press suggested some changes to the manuscript and asked me to work on the order of stories. I’d labored over the order and was reluctant to change it. As I experimented, though, I realized he was right. New Rivers Press is part of Minnesota State University Moorhead, and MSUM offers a Certificate in Publishing. Students in the program were involved with the design of Second Language. The publishing process was a positive, supportive, and collaborative experience. Your second book was a novel, On Bittersweet Place, an historical coming-of-age novel about a young Russian Jew who fled the Ukraine for Chicago. Did the seed for this novel come from your own family history? How much and what kind of research was required in the writing of the book? Yes, the seed for On Bittersweet Place came from my family history. My mother’s family fled from Russia. My great grandfather was killed by Cossacks, but not in the way that occurs in the book. Though my parents were born in Chicago, many of our relatives had come from Russia. Their stories fascinated me. I based the Russian portions of the book loosely on family history. I was inspired by my family, but the characters and events are imagined. I had to do a lot of research for the book and enjoyed that. The details in the novel had to be accurate. I read books about popular culture in the 1920’s and during World War I, and about Russian, American, and world history. I learned about clothing worn in the 1920’s, about music, newspapers, books, schools, current events. I did research on the Internet and spoke to librarians at the Chicago Public Library who helped find details about Chicago, names of streets in the 1920’s, weather systems, routes of streetcars, and other information. I did research before writing the book and also while I was writing and revising. Do you prefer writing novels or short stories? You seem to move easily back and forth between them. Can you tell me a bit about the state of mind or writing practice that each requires? Thank you. I like writing both stories and novels. The challenges are different. Short stories need to be compressed and focused. I love the precision of a story. The economy. The ability to explore a new situation and characters in each story. A novel is the opposite. It contains hundreds of pages, with room to meander and digress. I appreciated the expansiveness of a novel and being able to follow the lives of the same characters over many pages. In terms of writing practice, I like to work on a story or novel every day, if possible. I clear a space in my mind so I can write. I like it to be a quiet time. When writing is going well, I can create a story fairly quickly, though it takes months or years to perfect it. A novel requires a bigger commitment. E.L. Doctorow once said about writing a novel: “…it’s like driving a car at night; you never see further than your headlights, but you can make the whole trip that way.” That’s right. A novel takes years to write; it can feel like hard work with no roadmap, no end in sight. There are false starts and revisions, threads to be connected, characters who have to be included or discarded. After I finished a draft of On Bittersweet Place, I realized minor characters in the early parts had become important as the book progressed. I had to make changes in the book. I find if I work on a piece of writing with consistency, ideas occur to me when I’m not at my desk. I often write a story, let it sit for a while, and then return to it. If only a short block of time to write is available, I use it. Even an hour is helpful. While I was working on the novel, my mother became ill and was in the hospital. I brought the manuscript and a laptop with me to Chicago where she lived. When she slept and there was quiet, I worked a little on the book. This was calming, and I was able to keep the book’s threads in my mind. Still, there are periods when life takes over, and writing has to be set aside. How about moving back and forth between editing and writing? Do you find that editing others’ work improves your own? I like to separate the BLR editing from my own writing, focus on one task then transition to the other. I think editing BLR stories has improved my work. It’s easier to see what needs to be fixed in someone else’s story and also what works well. I try to approach my work with the same distance, and sometimes think about a story I edited. What are you working on now? And what are your own writing habits? Do you write every day at a certain time or find blocks of time? I know you have attended writing retreats at Ragdale and at Bread Loaf, where you and I first met. How important have these stretches of uninterrupted time been for your writing career? I’m working on more stories and revising a novel. The novel is about a public defender and a case in which her client pleads not guilty by reason of insanity. Again, I try to find blocks of time to write every day. I like to write in the morning, but if I have other commitments then, I find another time. The stretches of uninterrupted time at Ragdale and Bread Loaf were very important to my work. A retreat like Ragdale is a gift. I didn’t have to fit writing into my schedule; my schedule was to write. The obligations and distractions of life and the clutter in my mind fell away. I had whole days to work on projects, weeks. I learned that stretches of silence are essential for creative work. I loved being at Bread Loaf, too. There is a terrific energy, and readings, lectures, workshops, an excitement about the written word. Writing is solitary, and it’s wonderful to have the chance to learn about writing, interact with other writers and their work. There’s time to write, too. As you know, you’re immersed in the world of writing at Bread Loaf. Ragdale is a quieter experience. Residents work on their own projects during the day then eat dinner together and talk. There are readings or presentations at night. One of the great things about this kind of retreat is the blend of people: writers, visual artists, and composers. But a retreat doesn’t last forever. You have to duplicate the focus or excitement of a retreat at home. Donna Baier Stein‘s new novel, The Silver Baron’s Wife, recently launched as #1 New Release in Biographical Fiction on Amazon. Her short story collection, Sympathetic People, was an Iowa Fiction Award Finalist and IndieBooks Award Finalist. She has also published a poetry chapbook, Sometimes You Sense the Difference. Donna founded and publishes Tiferet Journal. She has received a Scholarship from Bread Loaf, a Fellowship from the Johns Hopkins University Writing Seminars, three Pushcart nominations, prizes from the Allen Ginsberg Awards, and more. 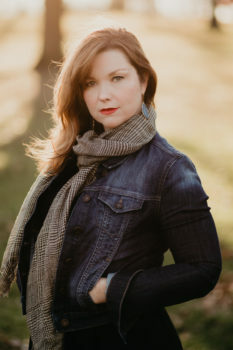 Her writing has appeared in Writer’s Digest, Virginia Quarterly Review, New York Quarterly, Ascent, Beloit Poetry Journal, Prairie Schooner, Puerto del Sol, and elsewhere. She is currently completing a new collection of stories based on Thomas Hart Benton lithographs.